The city of North Lauderdale has a population of about 42,000 residents. However, it's a part of a much larger Metro area with about 5.6 million residents. Along with the many residents found in the area, the beaches and attractions draw millions of visitors every year. Adding millions of visitors into an already highly populated area leads to dangerous roads and congested traffic. While the North Lauderdale area may not be as popular as other areas near Miami, it still sees a large amount of visitors and many dangers on the roads. Florida's Turnpike, Interstate 75 and Interstate 95 are all found near North Lauderdale. I-95 is known as the most dangerous highway in the country, while I-75 is listed in the 15th spot on this list. Over 700 fatalities happened on I-95 from 2004 to 2008 in Florida. North Lauderdale is found in Broward County, which experiences more than 26,000 traffic accidents a year. A high percentage of the accidents within the area lead to injury and about 200 fatalities happen within the county every year. Traffic crashes throughout North Lauderdale and Broward County are on the rise. Could you imagine how dangerous the roads would be if they were not monitored by the authorities? In 2015, about 96,000 traffic tickets were given out for speeding. Another 18,000 were issued for careless driving with another 15,000 issued for running a red light or through a stop sign. The total tickets given out in 2015 were 195,000 for Broward County. If you become a habitual offender and you consistently break traffic laws, you will end up with a license suspension. Each ticket comes with points ranging from 3 to 6, depending on the offense. After 12 points in one year, you will deal with a 30 day license suspension. If you get 18 points over 1.5 years, you will have your license suspended for 90 days. Get 24 points in 3 years and you will have to deal with a one-year license suspension. You may not think this is a big deal, but if you're caught driving with a suspended license; you will face up to a $500 fine and 90 days in jail. Do you really want to go to jail for getting too many traffic tickets and getting caught driving on a suspended license? It only takes a few tickets to end up with a suspended driver's license. 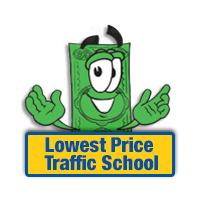 Online traffic school provides you with an option when you receive a traffic ticket. 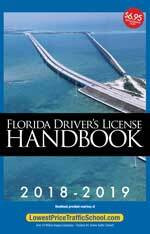 If you take the basic driver improvement course, the State of Florida will not add any points to your license for your ticket. This will not only help protect you from getting your license suspended, but will also keep your insurance rates from going up. First, pay your ticket with the clerk of the court. Second, enroll in online traffic school or the basic driver improvement course. Third, complete the course and pass the test. Last, turn in your certificate of completion to the clerk of the court. These simple steps can help you to avoid points on your license and keep your insurance rates from going up. Before you can enroll in online traffic school, you need to find out if you're eligible. You're allowed to use the course to avoid points on your license up to 5 times in your lifetime. However, if you've taken the course in the past 12 months, you cannot use it again because the state only allows you to take the course once per 12 months. When a traffic ticket is issued in North Lauderdale, regardless of the issuing branch of law enforcement, payments and information are handled by the Broward County Clerk of the Court. If you need more information about the Broward County Clerk of the Court, you can find it on their website.